Did you think those Brain Hemorrhage shots I shared last week were the only trick for Halloween I had up my sleeve? When I saw these skull glasses I got a little inspired. Having friends over for Halloween just got a little spookier! 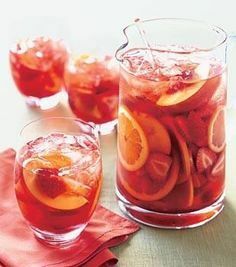 I threw together a little cocktail that would look great in a punch bowl to enjoy with your friends. I love the tangy taste and pumpkin undertones! P.S. If you want to add a little extra to your punchbowl concoction, add some dry ice. (Inspired by Ashley and Eden) It’ll be sure to take the party and your cocktail up a notch!